Fashion Feng Shui®, the Art of Dressing with Intention, continues Evana Maggiore’s legacy in Italy. What if you discovered that everything in this Universe, including the clothes we wear , possesses a specific energy that helps you balance our personal harmony? What if, thanks to the energy which your clothes bring to you, you could feel better, more like yourself, more empowered by what you are wearing, which fulfills you, flatters you, fortifies you and us functional to your lifestyle? Fashion Feng Shui® does that and much more. “the Universe is a manifestation of the Chi, the divine life force that permeates human beings and their environs. Its most basic principles state that all things, both animate and inanimate, are alive with Chi, connected to each other in an invisible web of energy, and in a constantly changing state. According to these three thousand year old body of knowledge, you are influenced by the condition of the energies within your habitual surroundings. Your Appearance: your personal colours, your shape, your Body. By evaluating all these aspects of you, and relating them to your Fashion Feng Shui® Elements and the energies they represent and give, and repeating the same energies in the clothes you can wear to feel in harmony and let the Chi flow in your life and look, you will be a perfect embodyment of who you really are, what your desires are and how you want to appear to the outer world. Fashion Feng Shui® helps you discover who you really are and empowers you everyday. 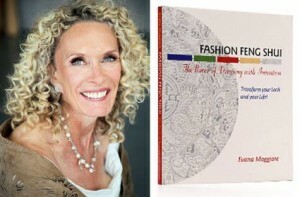 Fashion Feng Shui® consultations can be provided in-person and online. Contact us at info@styleandshop.com for more information and for a complimentary 20-minute phone or skype consultation!